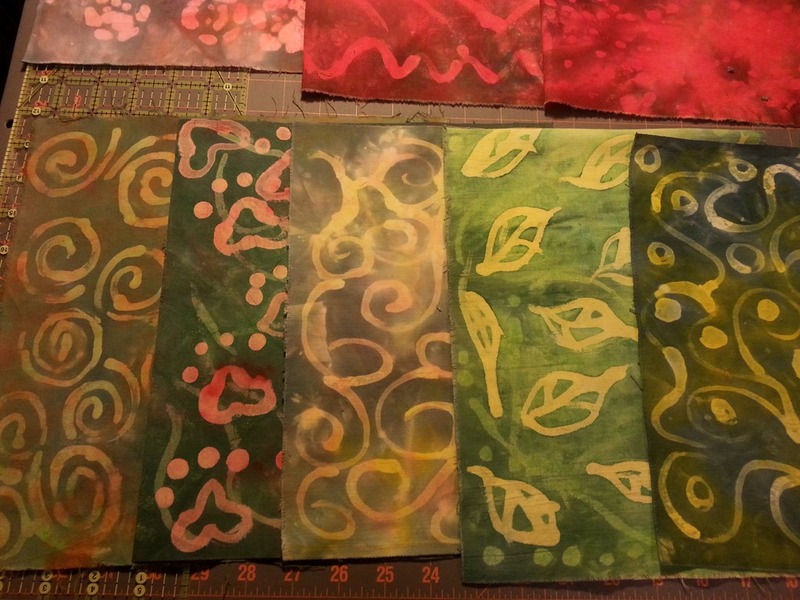 Between the hacking and coughing today I had a blast playing with my dyes, fabric paints, wax and glue. Although the glue version had to be nixed LOL First thing I did was the textile paint on the yellow with leaves and sunset greeny with paw prints and then I ran out of paint PFFT!!!! 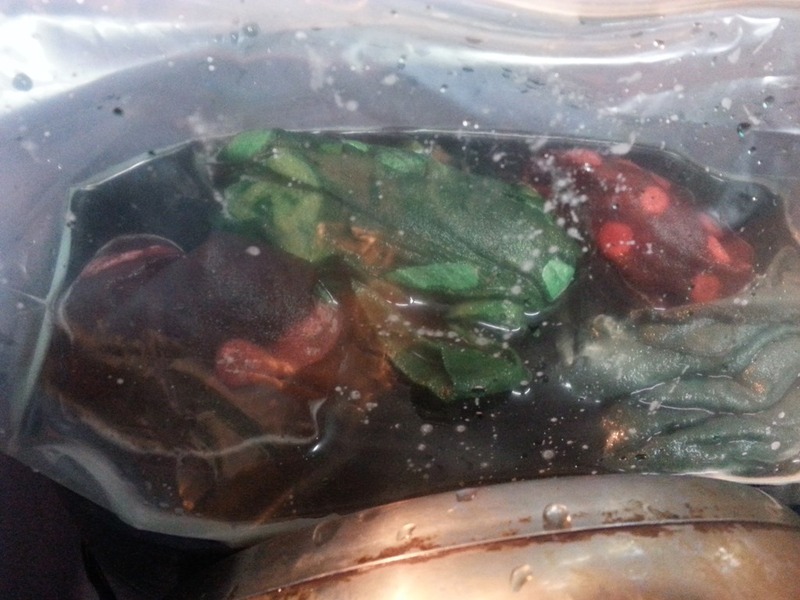 I wasn’t too worried as I did (operative word .. DID) have green dye.. 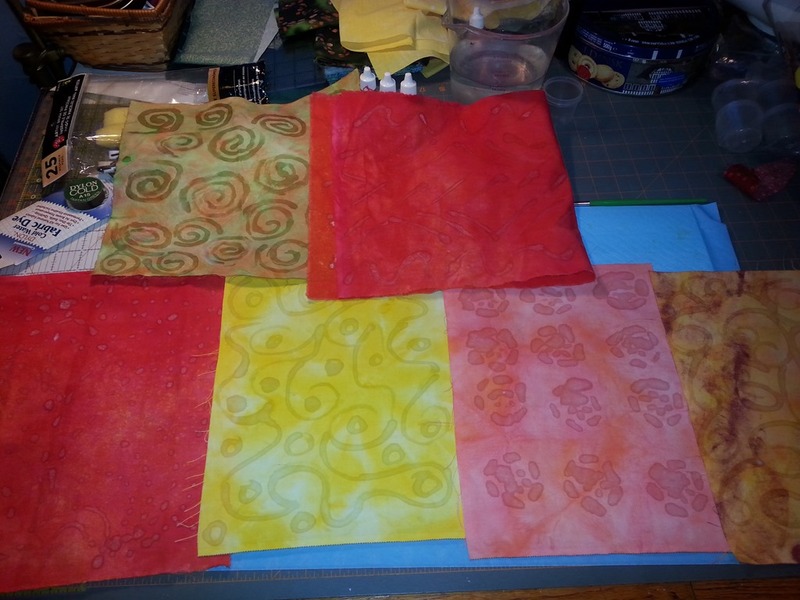 The package I had of Dylon would do about 2 – 2 1/2 yards of fabric, so I started to hunt around for fabric to add to this. I did do 3/4 yard of white muslin that I had here for just that purpose I scrunched it up to tight and / or didn’t mix it up good enough at the beginning so it’s more white than I wanted it to be, but I can always do another batik with green when I buy more. I did a bit of that on the yellow leaves and the paw prints – i really like the effect it gave me and want to play with that more. I’ve always loved hand dyeing and this is just the icing on the cake for me. 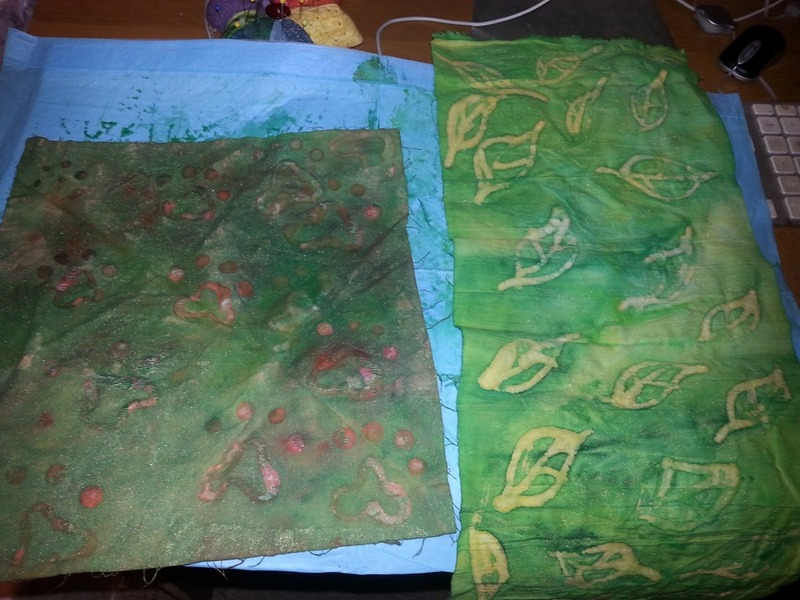 I actually did the glue first then went to the green paint – while I was painting, the glue spread out to much and it was just a hideous blob on the fabric – totally covered the piece – so to the kitchen I went to wash it out before it totally dried. I was rather disappointed as I wanted to play with glue technique a bit, but lesson learned. Glue Gel next time, not just plain white glue. So left the leaves and paw prints to dry and went and washed the glue off. 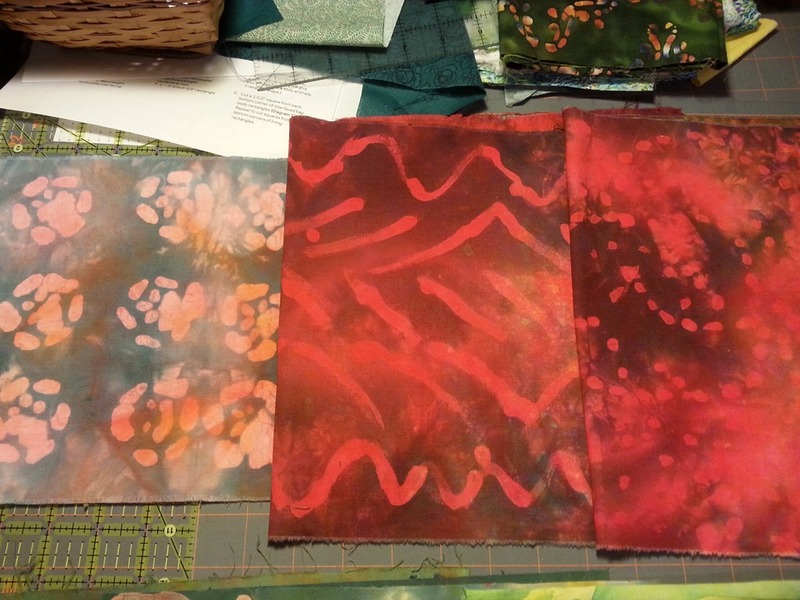 I just might start the next bock sets tonight – printing out the foundations on my new quilter’s paper and using my new batiks – at the very least I can set it up so it’s ready for me to start tomorrow. Colour me VERY impressed! I had no idea you had such a talent for dyeing!